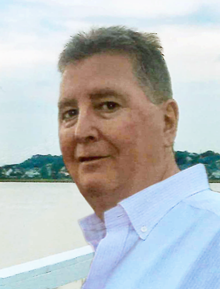 Harvey Robert F "Bob" of Winthrop formerly of Malden passed away peacefully with his loving family by his bedside on Feb 8. Beloved husband of Carol (Lupis) Harvey. Devoted father of Shawn and Emma Harvey both of Winthrop. Loving son of Doris (Stevens) and Gerald Harvey of West Yarmouth and Hilton Head S.C.
Dear brother of Paul and wife Nancy of Atlanta, Steven and companion Dorothy of Reading, Jack and wife Merry of North Carolina,Jean Harvey of South Carolina, Bro.Lawrence Harvey CFX of Baltimore, Daniel and Fiance Deb of Millis, cherished son in law of June Lupis and late husband Angelo. Also survived by his devoted extended family and friends. Family and friends will honor Bob by gathering at the Ruggiero Family Memorial Home 971 Saratoga St (Orient Heights) East Boston on Tuesday, Feb 12 from 4-8 and again on Wednesday morning at 10:00 before leaving in procession to St. John The Evangelist Church Winthrop for a funeral mass celebrating his life at 11:30AM . Member of The Winthrop and Circle Yacht Clubs, Bob and the entire Harvey Family is dedicated and devoted to Malden Catholic High School and it's Community and thank them for there prayers. Flowers are appreciated or in honoring Bob and knowing the road he had to face for the last 6 years plus donations may be made to Palmer Lung Transplant Research Fund at Duke University in his honor www.gifts.duke.edu. Funeral home is handicap accessible, complementary valet parking, and ample off street parking with attendants.